ARCATA – The Arcata Eye, Arcata’s weekly newspaper since 1996, celebrates 15 years of publication on Saturday, Oct. 15 at Humboldt Brews, 856 10th St., Arcata. Doors open at 8 p.m. Admission is $20. Adults only. 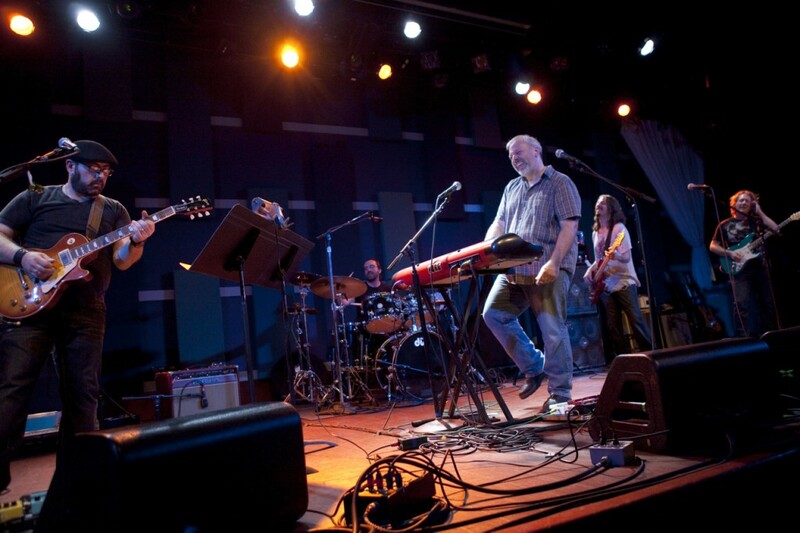 Headlining the event is world-renowned virtuoso guitarist and multi- instrumentalist/composer Mike Keneally. The appearance is part of his first West Coast full-band tour in years, bringing his remarkably inventive musical vision to nine cities in October in support of the Keneally Band’s latest Exowax Recordings DVD/CD live release, bakin’ @ the potato! In a unique twist, this tour’s Mike Keneally Band members also comprise the opening act, the band of Keneally’s longtime bassist Bryan Beller (Steve Vai, Dethklok), whose intricate jazz/rock compositions and tasteful playing earned his third and latest album, Wednesday Night Live, widespread acclaim. The Keneally/Beller Band West Coast 2011 Tour features Keneally, Beller, drummer Joe Travers (Zappa Plays Zappa), and guitarists Rick Musallam (Ben Taylor, Byrd York) and Griff Peters (Billie Myers, Anika Paris). Tickets are available at People’s Records, the Works, Humbrews, the Arcata Eye in Jacoby’s Storehouse and via humbrews.com. The Arcata Eye 15th Anniversary Bash is co-sponsored by Lost Coast Communications, home of KHUM, Radio Without the Rules. For more information visit arcataeye.com, keneally.com, humbrews.com, the Eye’s Facebook page or call (707) 826-7000. This entry was posted on Tuesday, August 30th, 2011 at 6:56 pm	and is filed under News, Scene, Featured. You can follow any responses to this entry through the RSS 2.0 feed.